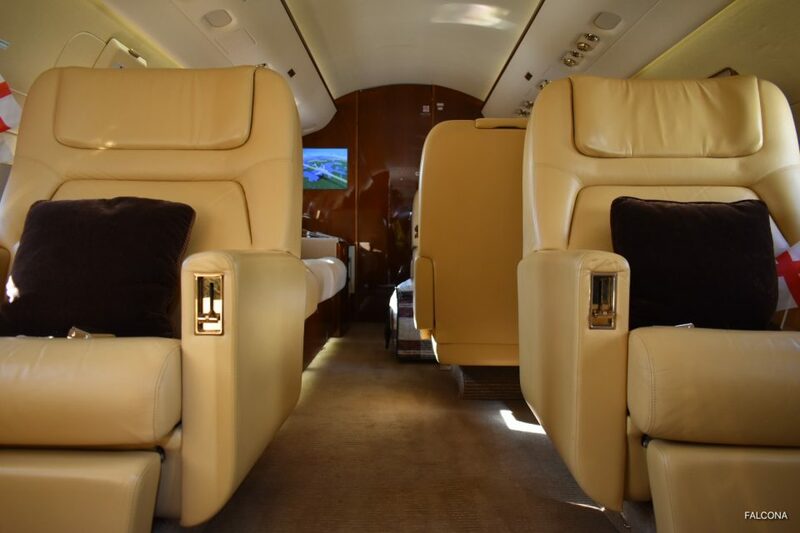 Charter a private jet with Falcona to Dubai this winter. Whether you’re looking for a family beach holiday or a short break in the sun, Dubai’s got something for everyone. Known around the world for modern architecture, luxury shopping, a lively nightlife scene and beaches Dubai is high on the list of destinations for private jet travellers. Head over to Kite beach and grab a picture of the Burj Al Arab hotel in the background, or check out one of Dubai’s new beach districts. Sun sand, perfect blue skies and water await you. 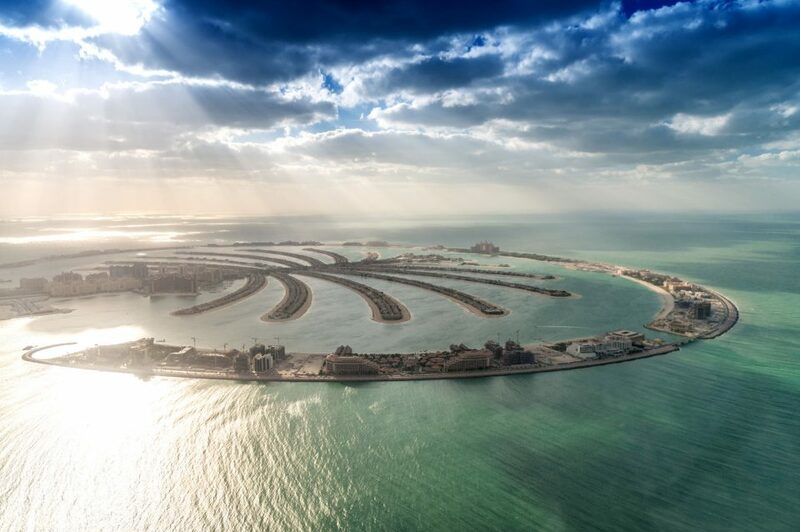 Enjoy Dubai as the perfect destination for holidays in the sun. Discover the world’s tallest building, shop till you drop in some of the world’s largest shopping centres and entertainment destinations, check out hidden gems in a traditional souk and bazaars or treat the family to action packed attractions, such as the water and theme parks. 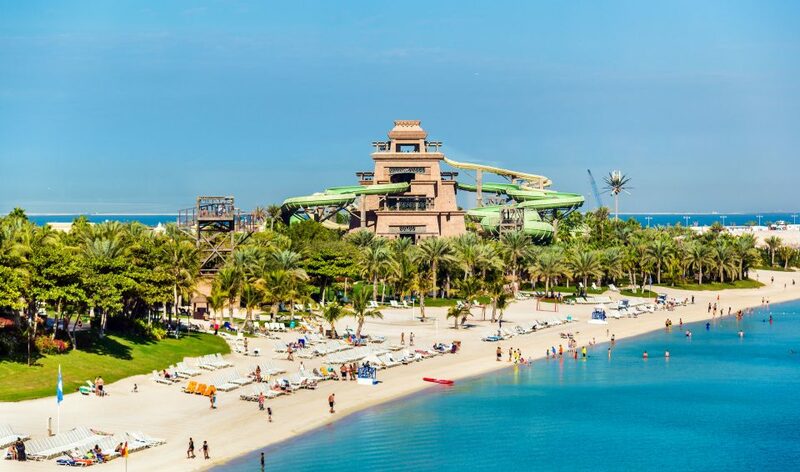 Dubai Aqua Park is a favourite of families. The Dubai mall is the perfect place for shopping, entertainment and leisure. Visit the Dubai Fountain, check out the view from the top of the Burj Khalifa (555m). Dubai’s Burj Al Arab is synonymous with luxury. Explore the origins of Arabia at the Dubai Museum. Convenience, speed and exceptional facilities are offered at Dubai International Airport and Al Maktoum. Both are international airports, with Al Maktoum being the preferred airport for private jets. Open 24/7 with a good selection of handling agents. Located approximately an hour from the city centre. Flight time from Manchester is approximately 7 hours. 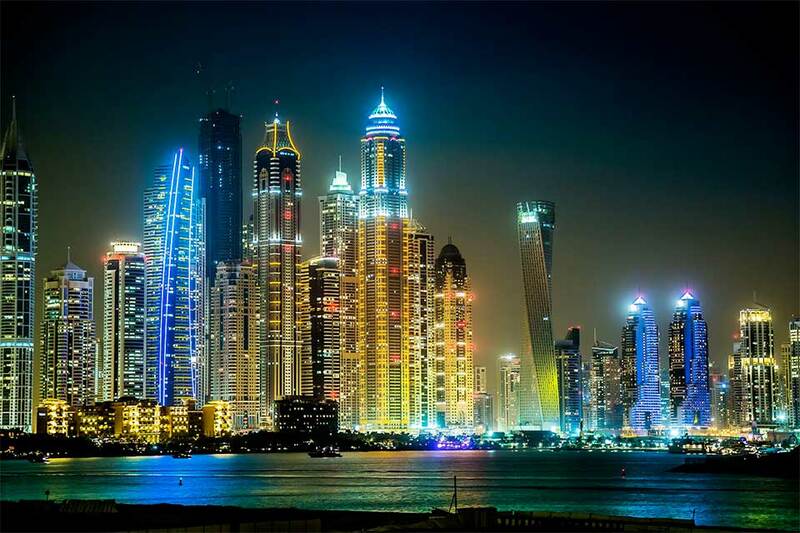 Dubai has emerged as one of the leading international business centres and regional hubs. The cosmopolitan city of diversity is a buzzing international metropolis. Dubai is a global leader, ranked in the top 5 for trade, logistics, tourism and finance and is world recognised ad the leading financial and trading centre. The 605 sets the benchmark for heavy jets and is extremely popular. Seating for up to 12 people it can fly you direct from Manchester to Dubai. 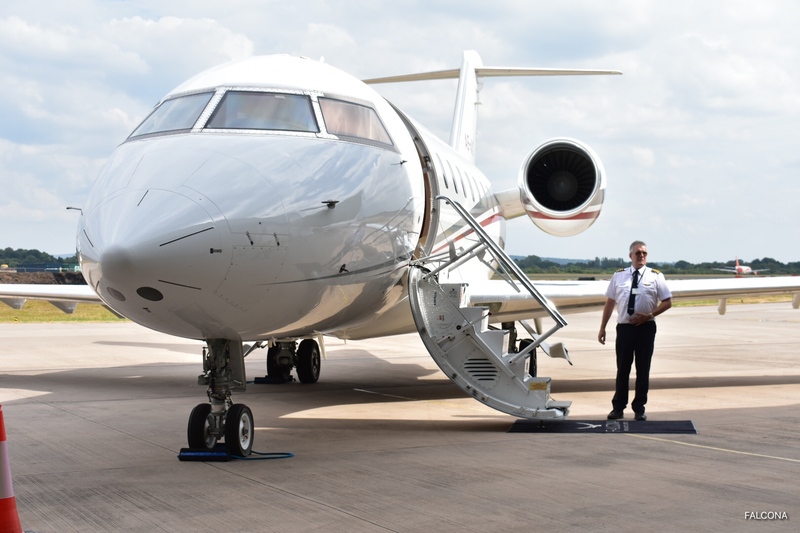 Offering the widest cabin of any true business jet available today, stand-up room of over six feet and a passive noise insulation system, it provides superior cabin comfort for up to 12 passengers.